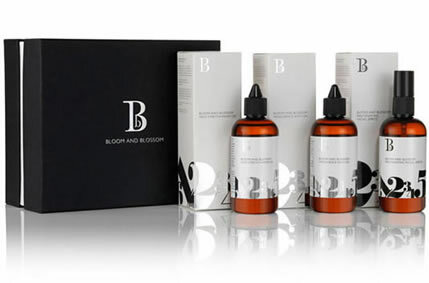 Bloom & Blossom is a British beauty product range created for mother & baby. The brand was created to meet growing demand from pregnant women and new mothers for a skincare brand that was completely natural and safe to use, but which also delivered the same exceptional results as premium non-maternity beauty brands. Therefore each product contains only the essential number of high quality ingredients to make the product work, with every ingredient earning its right to be included. The Bloom & Blossom range includes 10 beautiful products such as Mother & Baby Oil, Gentle Baby Wash and Rivitalising Leg & Foot Spray. There are also exclusive gift boxes available; the perfect present for a babyshower! During our Baby Massage Courses you will be offered to use the Mother and Baby Oil to massage your little one.